Globe Telecom continues to support our community not just being a telco provider here in Philippines. In fact they offer Libreng Tawag Program to our fellow Filipino’s who are affected by disaster and crisis, a free call service to contact their love ones and friends in situations like that. Another innovative program which Globe supported is the Text2Teach, a project that involves network solutions to build quality school teaching and learning. As the project set to be completed next year, Globe allocates P9.4 million to reach the Phase 4. 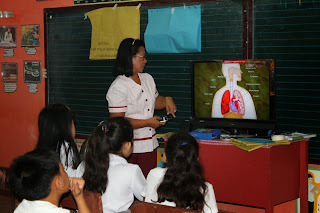 This project was launched way back 2004, Globe, Text2Teach and other partners has been helping schools and students all over the country by providing technology support. Schools selected on this program are provided with educational materials (audio/video), Nokia mobile phones, TV’s and Globe internet connection. Students can now able to use those tools and teachers also can easily access this using Nokia Education Delivery (NED) app. Aside from internet service, Globe also provides SIM cards to teachers with special call and text rates to serve their communication needs. This program is in partnership with LGU’s, DepEd and other organization who provide support Text2Teach (T2T) to makes this project successful.